Mix humor with simplicity, add a softened heart and a bit of irony and top it off with a lot of creative energy and you?ll have this House Mezuzah case. MY ORDER ARRIVED IN A SHORT TIME AFTER PLACING! 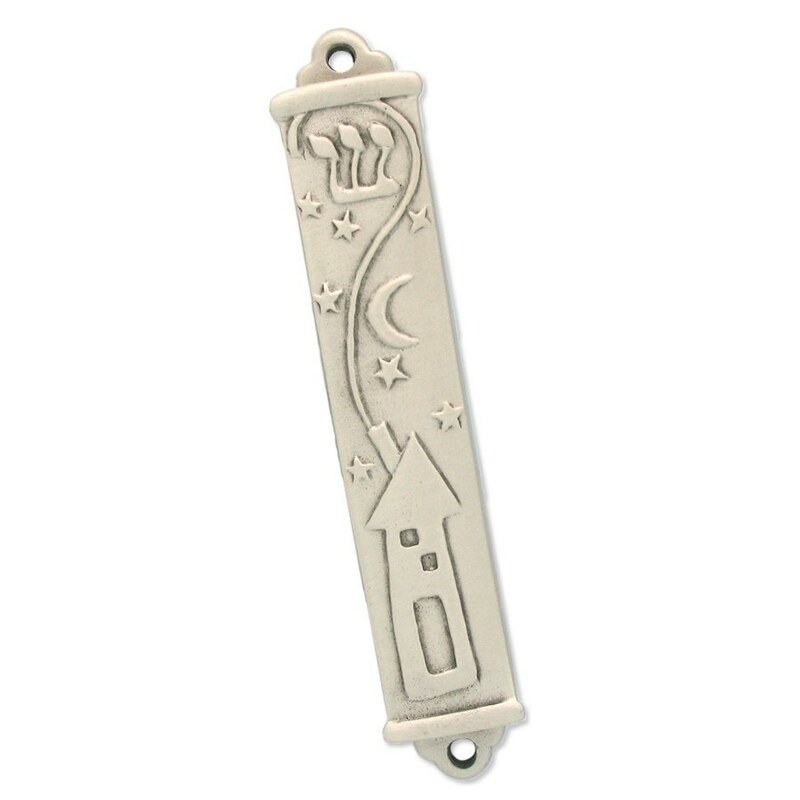 I AM VERY HAPPY WITH THE MEZUZOT & CAN’T WAIT TO GIVE IT TO OUR SON FOR HIS NEW HOME! I WAS AMAZED AT THE VARITY TO CHOSE FROM! 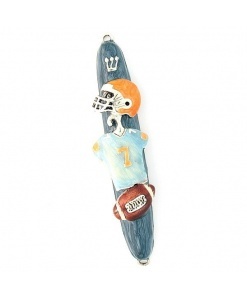 I am very happy with the service and the status updates of my order. 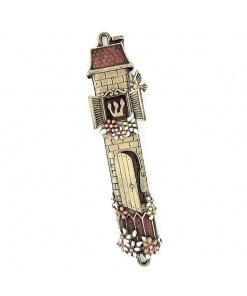 To my surprise, the mezuzah was in a beautiful gift box. 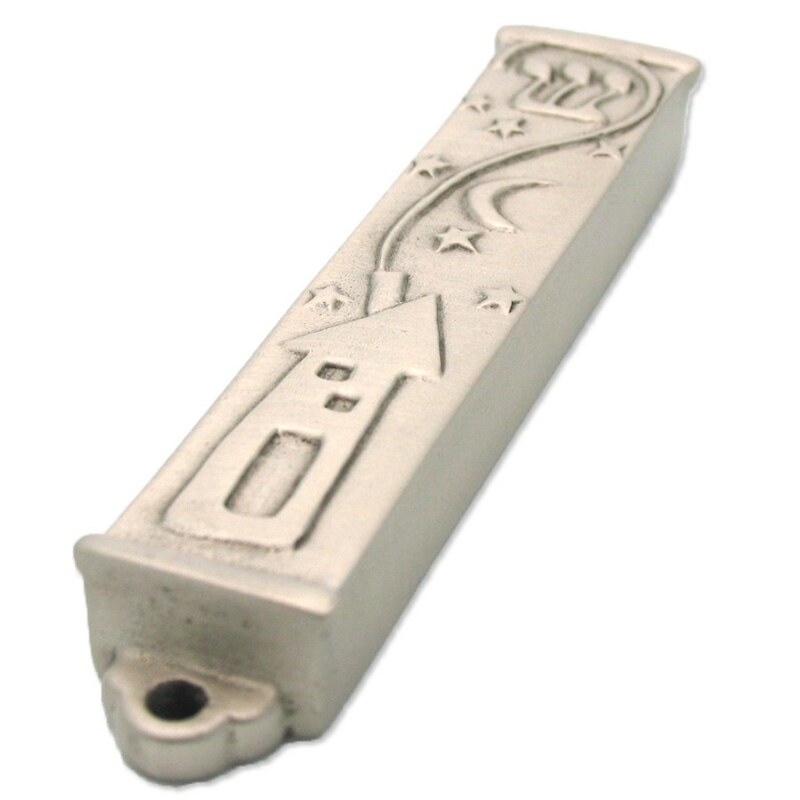 The mezuzah case is very nice, very solid and of beautiful craftsmanship. I did not disturb the scroll, as it was rolled and wrapped in plastic, and placed inside the mezuzah case. 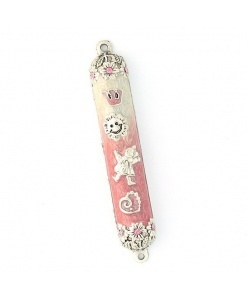 I recommend your website very highly, and received great customer service and products. 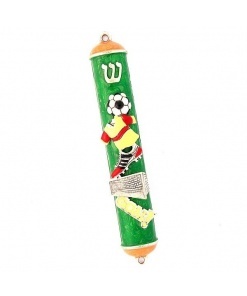 This was a perfect mezuzot for my son’s future baby’s nursery! I bought this mezuzah for my daughter in Montana and for a friend who lost her home in the Santa Rosa fire and is now renting. I love it, like aChagall drawing. 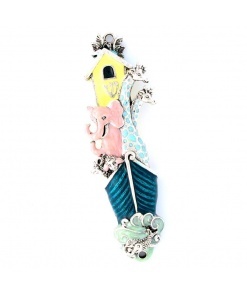 I am wondering if this style which I love comes with color or just All silver? 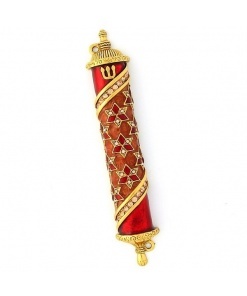 Dear Lanie, We are happy you like the new Mezuzahs. 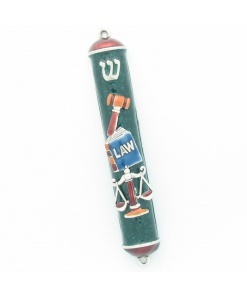 This product does not come in other colors, but there are many other colorful mezuzahs on our website that you can take a look at. 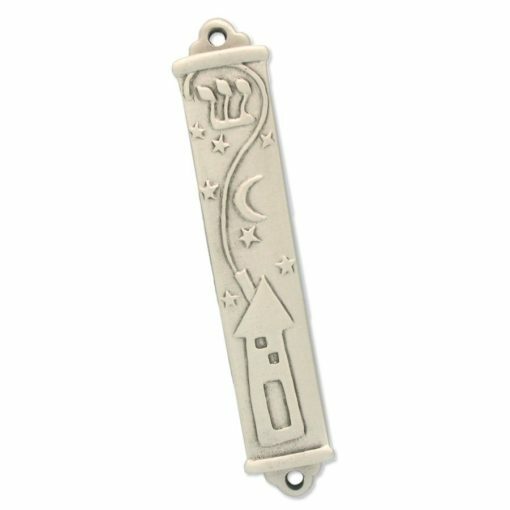 We recommend using the “artsy and funky” style filter on the left side of the Mezuzah Master page to find an artsy mezuzah. Fast service. 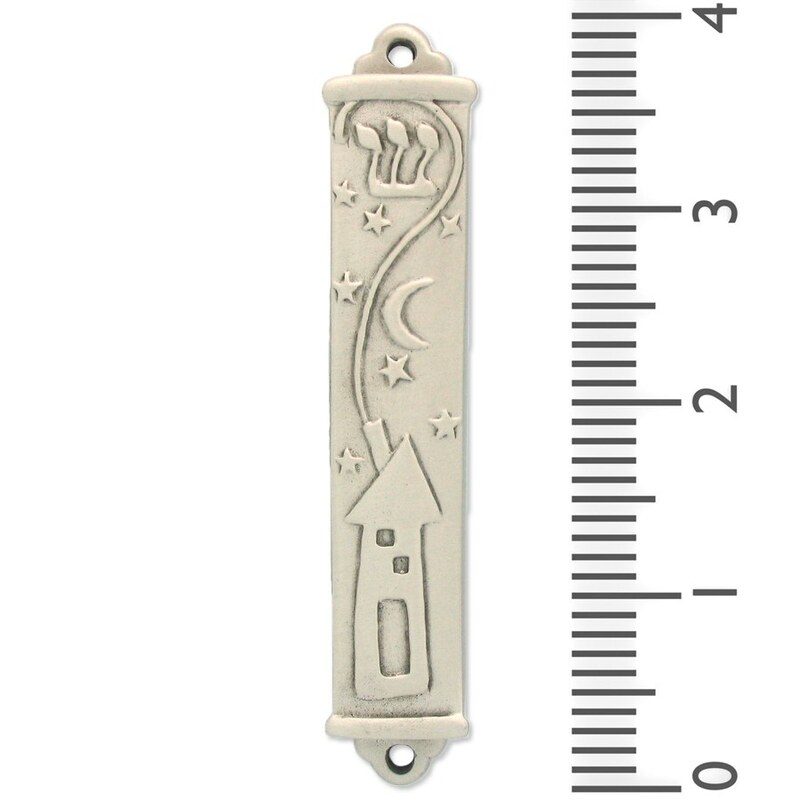 Mezuzah arrived within days, tucked into a nice gift box. 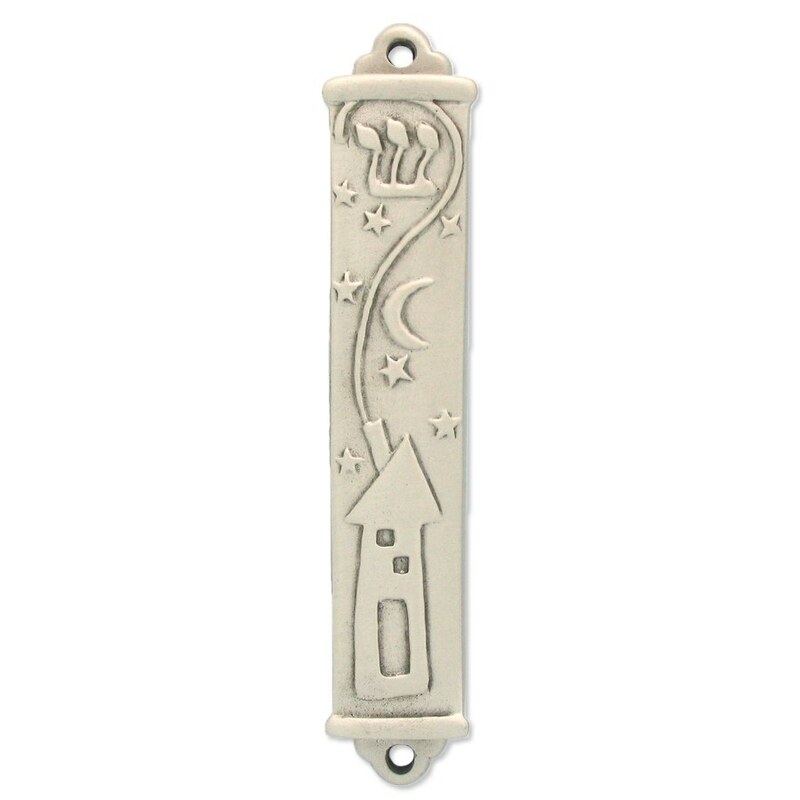 Mezuzah is whimsical and lovely. Thank you.